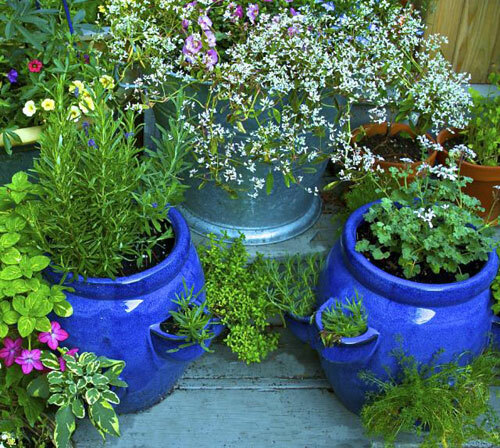 Start your own apothecary potted garden with plants such as lavender, mint, lemon balm, and thyme. Make homemade remedies for stress, digestion, immunity and much more. This is Part 1 of a series on achieving the best results. Enjoy! This time of year, as the plant world explodes with shoots stretching up toward the sun, we naturally tap into the deep, ancient urge to grow something. Medicinal herbs are among the most rewarding of garden projects, providing both a dose of aromatherapy and the materials to make high quality, inexpensive herbal products. Here is this series, you will learn how to grow and use six versatile herbs. All of these herbs mentioned grow well in garden planters or decorative containers, so there is no garden or yard even required!!! Part 1 explores the basic needs of these herbs, considering soil, sun, food, water, air and of course planter options. 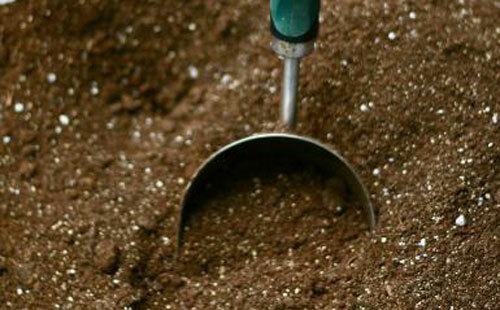 Start by choosing a good, organic potting soil that provides good drainage and room for fragile roots to grow. Unless otherwise noted your herbs will thrive in full sun, so read your seed packets closely. Water your potted herbs daily, ideally in the morning, until water drains out of the bottom of the planters drain hole into a saucer. Once the saucer fills with water be sure to pour it off so it doesn't stay full. The soil shouldn't stay soaked but it shouldn't dry out completely either. Use a balanced organic fertilizer according to the package directions. Remember that plants can be killed with kindness and take care not to overfeed or over water. Avoid crowding your plants. This will help cut down on any fungal or pest issues. When it comes to selecting your planter or containers: use terra-cotta, stone, glazed or poly-resin design and style that meets your needs. 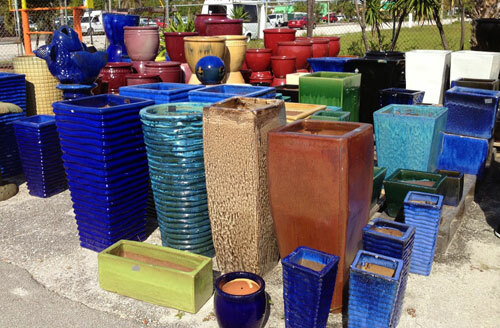 You can go back to basics with a plain, Italian imported terra-cotta, sunbaked, clay pot, or add a splash of color with a nice shaped brightly colored glazed planter. There is no right or wrong when choosing a pot to use. Just make sure that it does have a drain hole in the bottom for drainage. You can cover the drain hole with pot shards, packing peanuts, pot filler or any object that will let the water run out but keep the soil in place. In our next entry we will get specific no what herbs we recommend and what their specific needs are, so stay tuned!